I actually made homemade barbecue sauce for the Grilled Baby Back Ribs that I made over the weekend! I've not tried that before, which is too bad because it is sooo easy and sooo delicious! The only extra advice I can give is to be sure to make it in a deep pot as the sauce is thick and as it simmers it pops out of the pan! This recipe is from Steven Raichlen's book, "How To Grill", and it is tangy, spicy, sweet and delicious! I loved it! However, a couple of family members requested that next time I leave out the Tabasco sauce, so you may want to taste the sauce before you add the Tabasco! Combine all ingredients in a non reactive sauce pan and bring slowly to a simmer. Reduce heat to slow-simmer for about 20minutes until thick and rich.Transfer to a clean jar and store in the fridge. It's good for several months according to the book. Enjoy! I'm going to share a few pics from my flower bed a couple of weeks ago when these flowers first burst forth. I am in no way a professional gardener, I just like to grow things and hopefully they will cooperate! The whole flower bed was not that great looking, rather patchy actually, but separately these beauties look great! blooming by the house. It's soft pink fronds are next to some Columbine which had just a few blooms left. 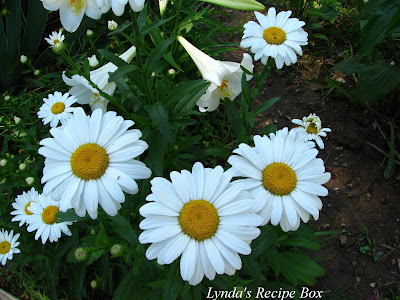 I think I must have planted last years Easter Lily too deep, as here it is blooming next to the Shasta Daisies! Very strange indeed, but they were pretty together! Next week I hope to show you some more and maybe some veggies too. My tomatoes, green beans and peppers are at least still alive! I did pick my first cherry tomatoes this week and they taste so good! 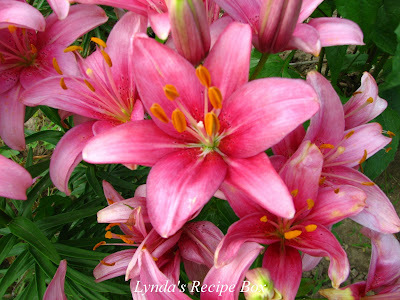 How about you, do you plant flowers or vegetables? The barbecue sauce sounds wonderful. Love the flowers! and that sauce sounds yummy, I love making my own sauce too! Thanks for such a nice post. The sauace sounds wonderful and your flowers are beautiful. i agree, tabasco sauce isn't for everyone! I like to make my own BBQ sauce as well; yours looks very, very good! Beautiful flowers, so lush and full and vibrant. Mine are starting to look a little straggly already from all the rain and too-cool weather we've had. Thanks for a BBQ sauce recipe! Your flowers are so pretty....lovely pictures. Love the photos and sauce will be served here this weekend! Thanks for the recipe! 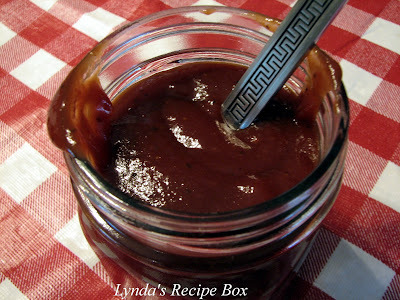 I love that you made your own BBQ sauce and I love it even more that you shared! I would love to give this a try! Your flowers are beautiful, and I love the sound of that sauce! I love homemade BBQ sauce. The flowers are beautiful. I've never tried homemade BBQ sauce, but it has to be amazing without all the artificial junk that comes in store bought ones. Beautiful flowers! Your flowers are beautiful...I wish I had better luck!!! Amazing your flowers are so Beautiful!!! and your BBQ look's so delicious..
Great way to make a popular sauce from scratch! 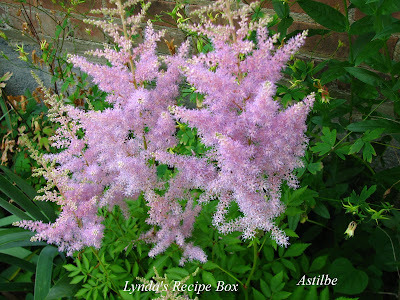 Hi Lynda, just found your blog. Wow, you got such a lovely blog and lots of wonderful recipes that I might need. Thanks for sharing! & have a nice day!